For your next trip to Endor. Step out on your next adventure with some familiar friends close at hand. 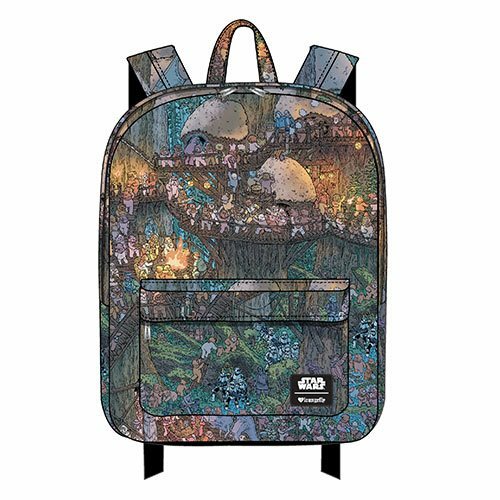 This Star Wars Ewok and Troopers Print Nylon Backpack features the art style of Where's Waldo, inspired by the forest of Endor in Star Wars: Episode VI - Return of the Jedi. Measuring 17 1/2-inches tall x 11 1/2-inches wide x 5-inches deep, it also sports a printed lining, an interior laptop pocket, and reinforced shoulder straps!